This family garden presented very interesting challenges. It has a steep gradient dropping away from the house to the end of the garden and from one side to the other. The views, as a result, are magnificent over trees and the design maintains this un-broken view. 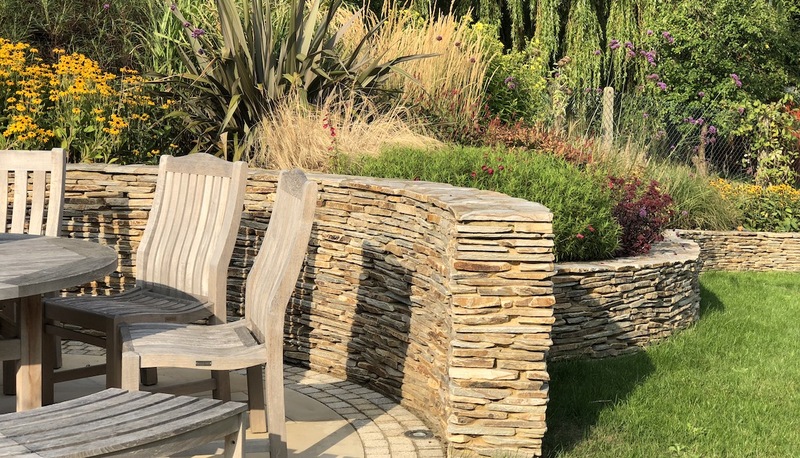 We managed the levels using a stunning curved quartz wall terrace, which defines the garden and how the different areas within the garden would be used. 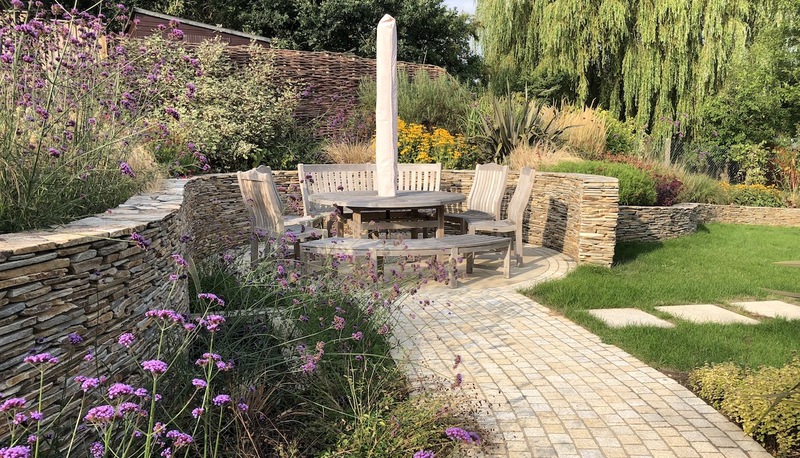 The brief was to create a quirky, contemporary family garden, to serve as an outdoor space for adults, children and young guide dogs for the blind. Our clients were also keen to encourage wildlife into the garden. 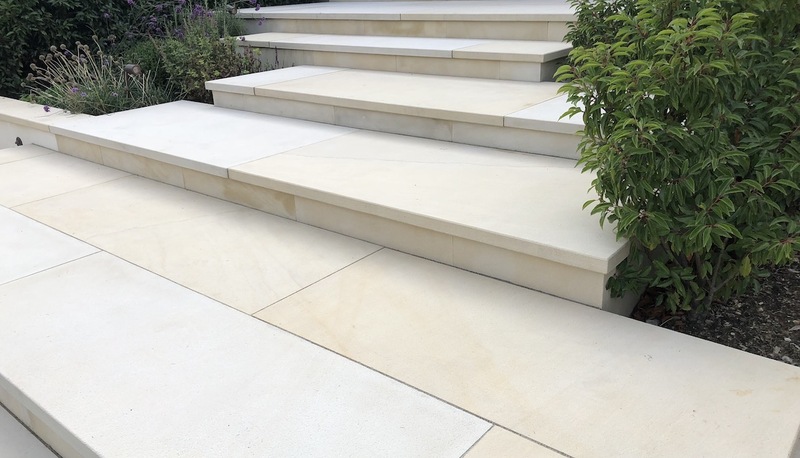 The resultant design uses staggered, bespoke, sawn sandstone ‘platform’ steps, which lead from the bi-fold doors to a lawn area flanked with generous borders. 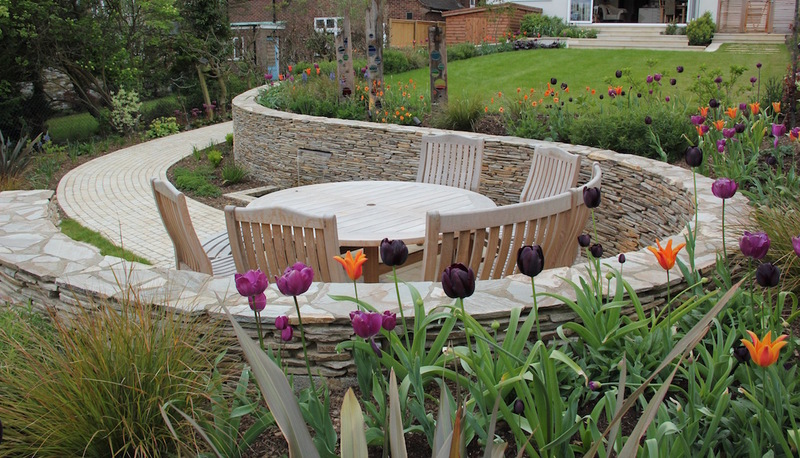 A stunning, curvaceous paddle-stone wall flanks a granite sett path which in turn, leads to a circular dining area. 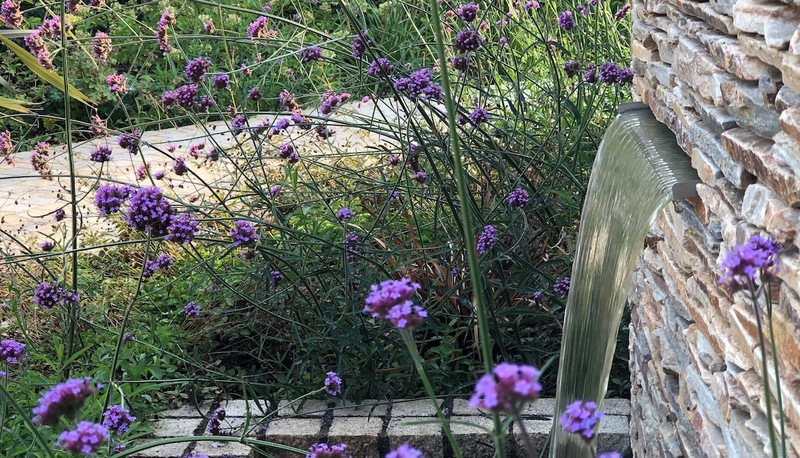 A water-feature in the form of a stainless steel water-blade introduces light and sound as the water flows into a small ground level pool. 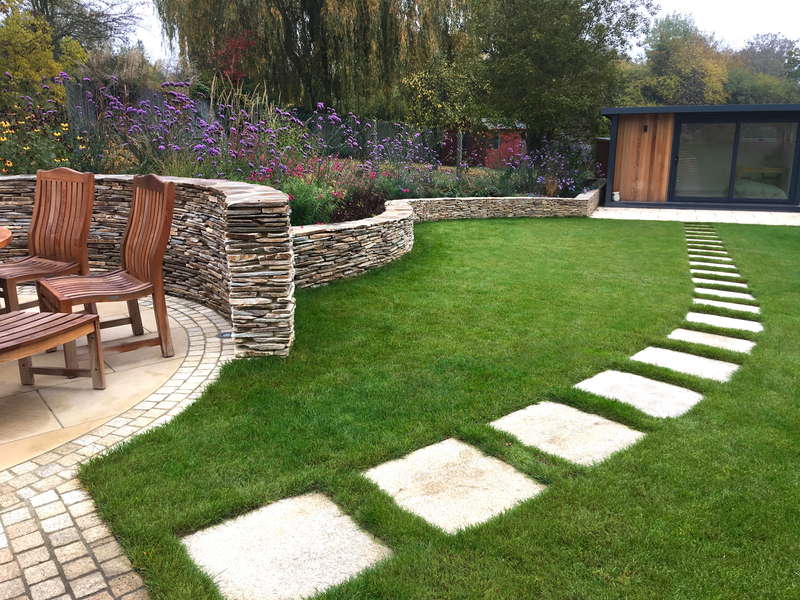 The wall and perennial border then sweep down to a bespoke home office. Beyond the home office, a sloping grass path leads to an expansive grass children’s play area. Grass banks planted with spring bulbs such as Crocus and Narcissus leads to a vegetable garden. Beyond this, a wild flower meadow for the children to explore and enjoy improvised play. Planting is naturalistic in style, using grasses and perennials to provide colour and interest through the year.